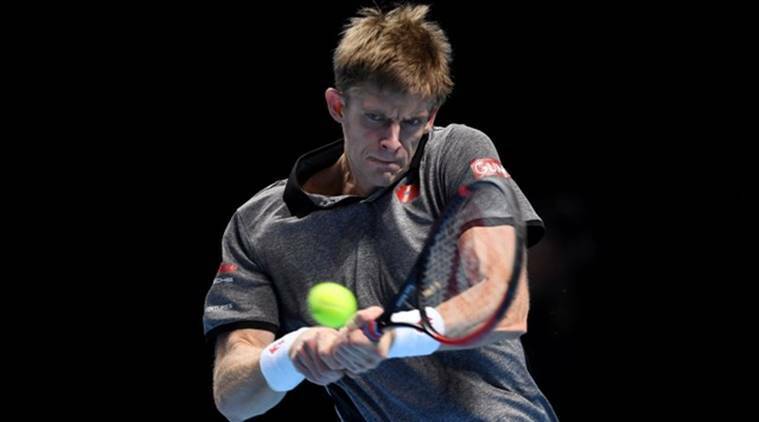 Kevin Anderson came within a whisker of a rare “double bagel” at the ATP Finals when he trounced Japan’s Kei Nishikori 6-0 6-1 at the 02 Arena on Tuesday. The 32-year-old debutant at the ATP’s blue riband event won the first 11 games of the round-robin clash before a relieved Nishikori finally got on the scoreboard with an angled winner. Normal service was quickly resumed though as Anderson closed out victory thanks to a 24th unforced error by Nishikori. Only six-times champion Roger Federer has enjoyed a 6-0 6-0 victory at the season-ending tournament, that coming in 2005 in Shanghai against unfortunate Argentine Gaston Gaudio. Anderson, the first South African to qualify for the eight-man event since 1995, made it two wins from two round-robin matches with a stunning display. What made it all the more impressive was that Nishikori had beaten Federer in straight sets on Sunday and that Anderson had trailed the Japanese 3-5 in their head-to-head record.